Obituary for Jean Ann (Balko) Johns | Bowerman Funeral Home, Inc.
Jean Ann Johns, age 84, of Wetmore, died early Wednesday morning, July 18, 2018 at her home under the loving care of her family and Northwoods Home Hospice. She was born in Gladstone, Michigan to William and Emma (Olson) Balko. Jean’s family moved from Gladstone to Wetmore at a young age and she attended school in Wetmore. She married Harold “Speed” Johns on November 4, 1950 and together they raised their five children. Jean worked for Dunklee’s Evergreen and was a homemaker. She was a member of the Munising Baptist Church and enjoyed the fellowship of the evenings where they would sew bandages for the missionaries. Jean made wonderful lemon meringue, apple and blueberry pies. She enjoyed spending time at the cabin on Townline Lake and appreciated spending time sitting by the water. Family was important to Jean and together they enjoyed picnicking at Pete’s Lake, picking blueberries, smelting at Bay Furnace, and going over to Grandma Johns’ home on Saturday evening for homemade bread. She is survived by her children - Carol “Cokie” Johns of Safety Harbor, FL, Susan Johns of Cape Coral, FL, Gloria Johns of Sterling Heights, MI, Harold “Sonny” (Lydia) Johns of Wetmore, MI, and Kathy (Josè) Cuautle of Janesville, WI; six grandchildren – Heather, Paul, Matthew, and Andrew Johns, Crystal (John) Smith, and Phillip Cuautle; sister – Anita Hase of Wetmore; brother – Allen Miron of Wetmore; in-laws - Dorothy Johns, Opal Kyllonen, Stanley (Marilyn) Johns, Charlotte Johns, Carolyn Johns, Marge Miron Schultz, and Janet Miron; and numerous nieces and nephews. Jean was preceded in death by her parents, husband of sixty-six years Speed, sister Harriet (Jim) Fitzgerald, brothers Norman (Evelyn) Balko, William (Ruth) Balko, Gordon “Manny” Miron, Donald “Duck” Miron, and in-laws Edith, Benjamin, Donald, Clayton, Ivan, James “Jimmy”, and Glendale Johns, Bill Kyllonen, Walter “Bud” Hase, and Jack Latvala. Services will be held on Friday, July 20, 2018. 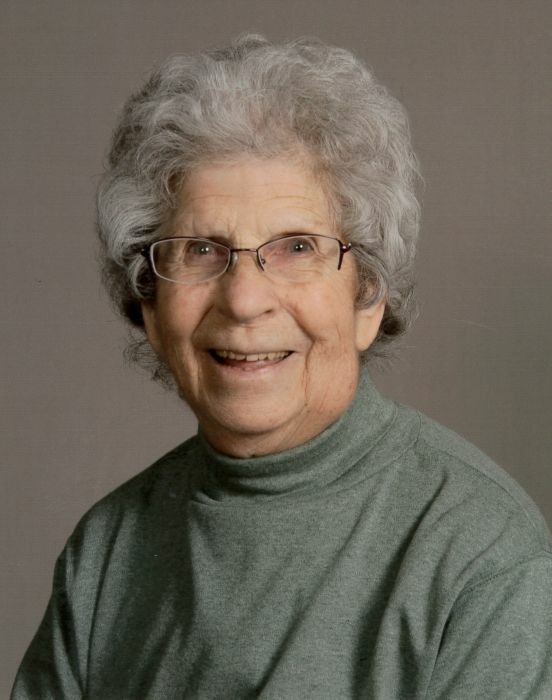 Visitation will be held at the Bowerman Funeral Home from 10:00 a.m. – 12:30 p.m. Jean’s funeral service will be held at the Munising Baptist Church in Wetmore at 1:00 p.m. with Pastor Jason LaFlamme officiating. Interment will be at the Munising Township Cemetery in Wetmore and Jean will be escorted by Paul, Matthew, and Andrew Johns, Phillip Cuautle, Ed Balko, and Don Watson.